Please accept my blessings. 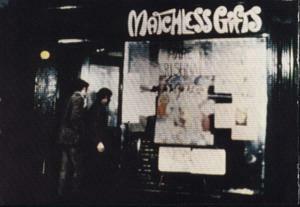 I am in due receipt of your letter dated September 19, 1975 and have noted the contents carefully. What is the street address of the new building in New York? The consent letter has been sent from Vrindaban. You should minimize the expenditure and increase the income, otherwise how will you liquidate the debts? I understand that you are saving on the milk bill by supplying your own milk from the farm. This is wanted. If these farm projects are successful, then all this industry will be closed. We do not have to make propaganda, but automatically people will not want. The people are innocent. The rascal leaders say it is primitive to remain on the farm, but to do business in the city and become rogue and rascal, that is advanced. They have dog race, horse race, gambling, coca cola, pepsi cola--all unnecessary. There is no use for it but the business is going on. They take to cigarette and T.V. because they have no good engagement. They are chewing the already chewed. That is nice that the parents are donating. They will donate more and more, because they see here is something good. Regarding the new New York house, yes, let me know when I shall have to go there to see. I have more houses than anyone else in the world, but I am not allowed to stay. The richest man in the world does not have such facilities. They have one or two, but in each place it is fit for prince, and they do not have as many as I have. And, the wife of Bali Mardan how was she giving such a bluff? This woman is very dangerous. I see that in every center we are getting good income, and it is all from the sale of the books. Philadelphia temple must have a proper place. Regarding Washington temple yes Brisakapi can be now recognized as the temple president. I give my consent for the present temple to be sold and you may purchase the other one as you have described it. Regarding Boston, yes you may utilize the funds as you have indicated. People are coming forward to donate. They are actually seeing. These boys were drug addicted, and now they are saintly. They do not smoke even. They talk only of God. So you get from all the farms all your necessities, then it will be successful. 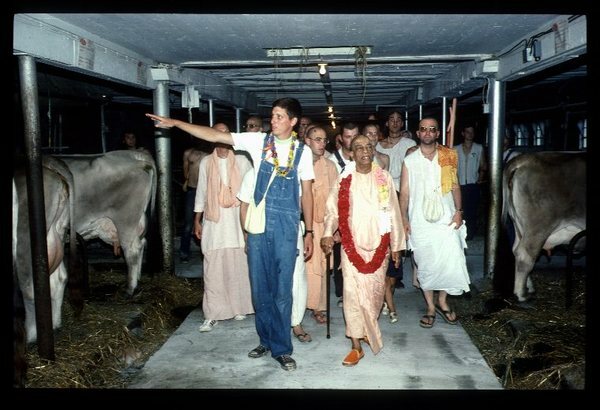 Fodder, milk, grains, vegetables, and animals and man will be satisfied, and you can chant Hare Krishna. No unnecessary cow killing, and no unnecessary needs of the body. The woman's SKP party, that is very good. 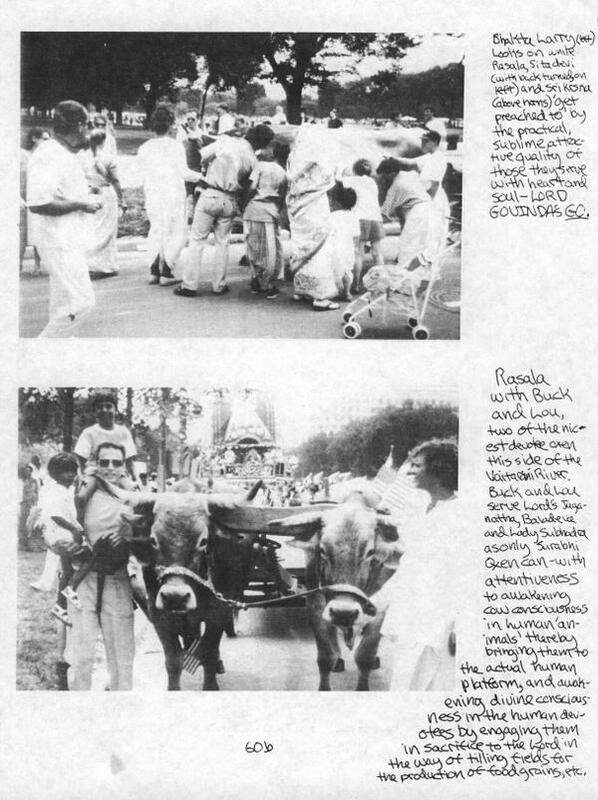 Prabhupada: Also Los Angeles. (break) ...and big, big city like Calcutta, Bombay, there are many, many more pigeons. Why they are so small? Pusta Krsna: They kill them? Kirtanananda: They put poison feed out. 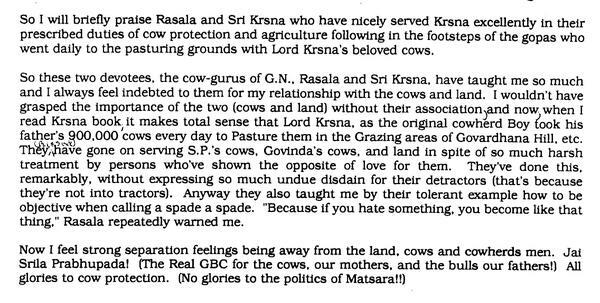 Kirtanananda: This civilization is that "If you cause a little disturbance to my sense gratification, I will kill you." Prabhupada: But there is civilization. 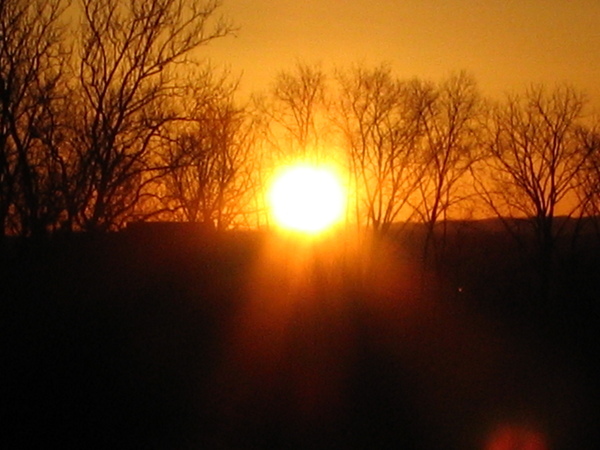 I saw it practically, that there is no disturbance in our Pennsylvania farm. The cats, the dogs, the cows, the boys, children, they are living like family. In your farm also. Wonderful. The cats are not afraid of the dogs. It is very peaceful. 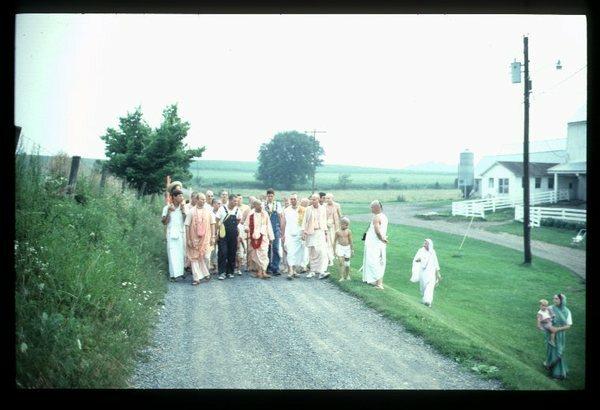 Tamala Krsna: Srila Prabhupada? Mother Satyabhama, she wrote a short note to you. Should I read it to you? Tamala Krsna: She said, "Dear Srila Prabhupada, please accept my most humble obeisances. All glories to Your Divine Grace. This shawl is made of the wool from our own sheep, spun and woven here at Gita-nagari. It is the first piece we have made. While I was working on it I would always think of you, of how I was supposedly making you a gift. But actually you are giving me the gift of engagement in devotional service. Srila Prabhupada, I always pray to Lord Nrsimhadeva to protect you and allow you to stay with us to finish your books. But I think today the rain falling from the sky is actually the tears of the demigods, crying at the prospect of your departure. I am also crying. Even Krsna cried at the passing of Grandfather Bhisma, so I have a right to cry. I cannot be so philosophical to say that you are always present in your books and teachings, though I know these things are true. 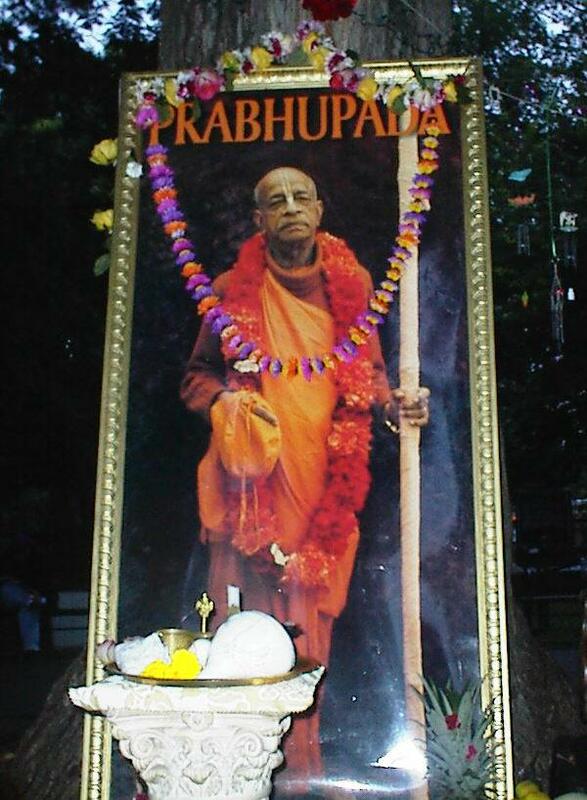 I will miss you so much, Srila Prabhupada, if you go. I beg that I may always remain your menial servant and devotee. Your humble disciple, Satyabhama dasi." Prabhupada: Thank to her. Made with our wool. 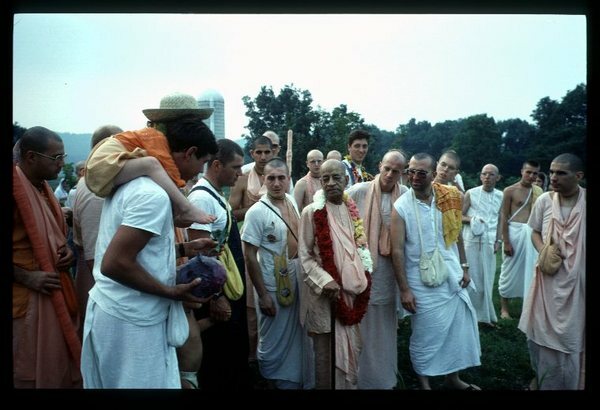 Tamala Krsna: So you'll take rest now, Srila Prabhupada? Prabhupada: Um hm. This can be on the foot. Yes. Up. Prabhupada: Hm, very nice. Very comfortable. Hare Krsna, Hare Krsna, Krsna Krsna... Made with our wool. ...Just like you see the Pacific Ocean, it is drying. Of course, we shall not live, but if hundreds years after, if somebody comes here, he will see that the Los Angeles city has expanded and the Pacific Ocean has diminished. This is going on. In this way, one day will be, there will be no Pacific Ocean. And therefore, without water, everyone will die. Simply sunshine, bright sunshine. 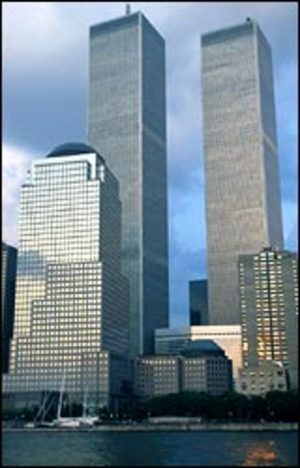 Sudama : Just like in New York, at one time the Empire State Building was the biggest; now they have built two buildings that are the biggest in the world now. Prabhupada : Yes. Now someday it will be lowest. 20Then Jesus began to denounce the cities in which most of his miracles had been performed, because they did not repent. 21"Woe to you, Korazin! Woe to you, Bethsaida! If the miracles that were performed in you had been performed in Tyre and Sidon, they would have repented long ago in sackcloth and ashes. 22But I tell you, it will be more bearable for Tyre and Sidon on the day of judgment than for you. 23And you, Capernaum, will you be lifted up to the skies? No, you will go down to the depths. If the miracles that were performed in you had been performed in Sodom, it would have remained to this day. 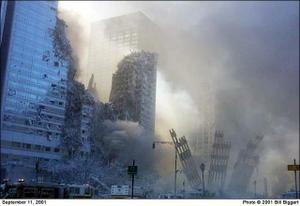 24But I tell you that it will be more bearable for Sodom on the day of judgment than for you."